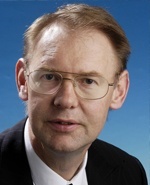 Professor Petersen has made important contributions to science in the area of robust control theory. His results on the Riccati equation approach to robust control enables robust state feedback controllers to be reliably synthesised using standard software tools. Professor Petersen’s research has had an important impact on the development of H-infinity control theory. H-infinity control theory is one of the most important recent developments in modern control theory and it has been extensively and successfully applied to many practical control problems.